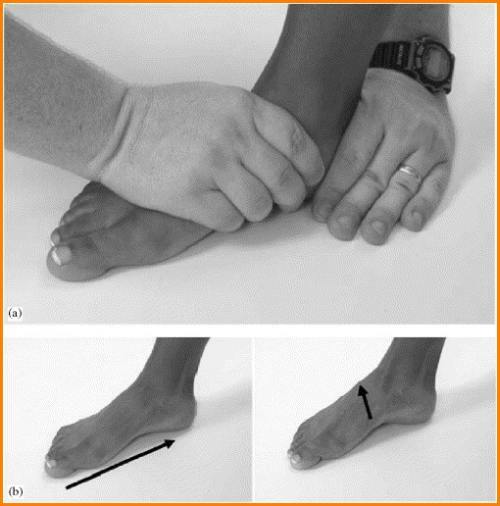 Home » Injury Prevention » Short Foot Exercise to Improve Performance and Prevent Injuries. Love Omega-3s. Short Foot Exercise to Improve Performance and Prevent Injuries. Love Omega-3s. 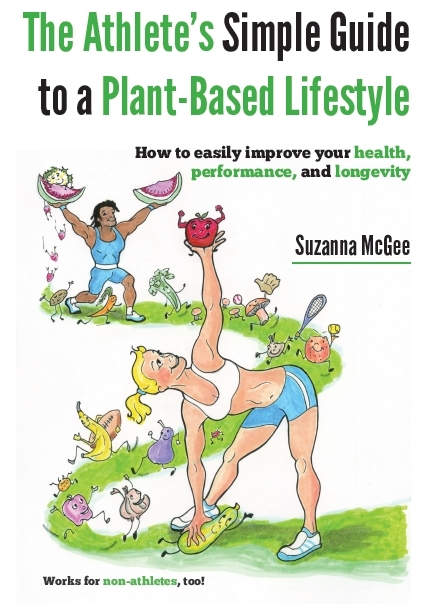 This entry was posted in Injury Prevention Nutrition Performance Strength on March 7, 2013 by Suzanna McGee. Healthy feet are necessary for a top athletic performance. In every step you take— running, stopping, and changing directions—your feet are carrying your body and assisting during the movement. You push off the ground and the forces are transmitted upward in the kinetic chain to your hips and upper body. We often overlook—or even worse, ignore—our feet. If you do fitness training to improve your performance, I am probably right to guess that you don’t give much training time to your feet. With the modern footwear, there is no demand on the small intrinsic muscles in the feet. They eventually stop working correctly and over time, the feet become dysfunctional. Wearing improper shoes accelerates the problems: flat feet, fallen arches, bunions, painful toes, inflammations, stiff ankles, hammer toes, heel pain, swollen feet… not a happy picture, yet very common. All this can be avoided with proper foot training. When you strengthen your feet, you will become suppler, move faster, and your performance will rapidly increase. The Czechoslovak researcher (yes, my compatriot! ), Dr Vladimir Janda, who pioneered and developed many ideas that are foundation for the rehab principle to this day, found out that after only 7 days of 15 minutes a day of foot strengthening, the glute activation speed increased by 200%. That is really impressive, taking in consideration that your glutes are the powerhouse to all your movement! Everyone needs to find 15 minutes a day to grant some care to the feet. You can do the exercise while watching TV, listening to a lecture, having a meeting at work, or standing in a grocery line. One of the most potent strengthening exercises is Dr Janda’s Short Foot Exercise. When mastering this exercise, you will improve the control over your intrinsic feet muscles, which will help to create more stable base of support for your legs, hips and the entire body. The exercise can be difficult in the beginning, because you won’t be able to find or control those muscles. With little practice, you will be able to do it any time and in progressively more difficult exercises. Stand on your foot and transfer some weight on it. Observe if your arch flattens out and if the foot becomes longer. The weaker the intrinsic muscles, the more action you will see. The main idea with the exercise is to make your foot shorter through a higher arch. Do not curl your toes or turn your foot outward! You will be very tempted to do so, when you feel that you have no control over the correct muscles. Focus and look for them. Once you find how to control them, practice any time you have a moment of standing. Shorten your foot, elongate. Shorten, elongate. Always keep your metatarsals down on the floor. When this becomes easy, make the exercise harder by transferring your body weight on that leg. Another level of difficulty is doing this Short Foot exercise while doing single legged squat or deadlift, or balancing on one leg while throwing/catching a ball. 1) Besides strengthening your feet, pay attention to the mobility of your ankles. The angle between your flexed foot and shin should be around 25 degrees. If it’s less than that, keep stretching your calves and Achilles tendons. 2) Test the flexibility of your plantar fascia (bottom of your feet). Flex your foot to about 5 degrees and you should be able to flex your big toe about 30 degrees. If your toes are not flexible, your running gait is not efficient. Stretch your big toes by kneeling and tucking your toes under your shins, then transfer your bodyweight toward your heels. Place your glutes on the heels and stay in that position while pleasantly (or probably not) stretching your toes. 3) Work on your balance. Stand on one foot and pay attention what your feet muscles are doing. They should be “pro-active”, maintaining actively your balance. If you have problems standing still and constantly moving and adjusting from the inside and outside of your foot, then your muscles are not strong enough and you need to work on your balance more. Perform this exercise, preferably barefoot, up to 15-20 times a day, for about 30 second each time. When you get stronger, you can stand there longer (1-2 minutes) and less often. Close your eyes to increase the difficulty, or use Airex Pads or similar. Other simple foot exercises can be found in past articles. Take as good care of your feet as the other muscles in your body. You will be pleasantly surprised with the results. To be able to train with higher intensities (harder, more often, longer), you have to recover properly, or you will run the body down and won’t improve as much as you could. With increasing age, the recovery time prolongs. You feel more fatigued and experience sore joints and muscles. If you don’t recover properly, you risk a future injury. 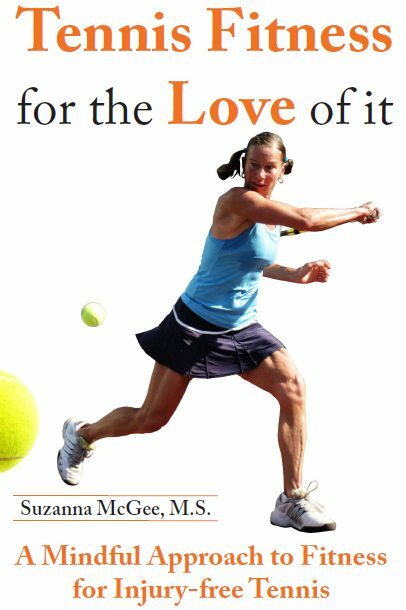 For ageing athlete, this process becomes slowly more and more irritating. You want to improve your performance, but you have to slow it down. 2) pay attention to healthy nutrition—a lot of plants (veggies, fruits, grains, legumes), low on fat, and without chemically or otherwise processed foods. 3) include one good supplement that focuses on the recovery for athletes—a combination of high quality Omega-3s, vitamin D and a super powerful antioxidant Astaxanthin is a great combo. I used to buy these separately, from different companies and made my own concoction. Not too long ago, I found a company focusing specifically on athletes, and they have just what I needed, in even better proportions that I could mix myself. 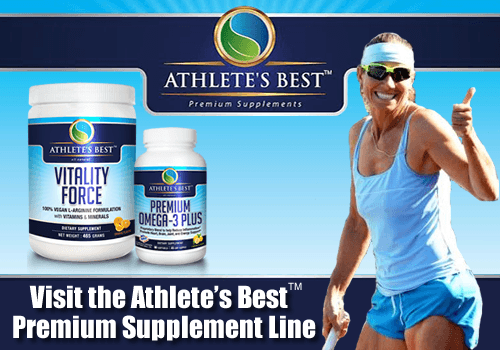 Athlete’s Best Premium Omega-3 Plus supplement has been proven to reduce recovery time in athletes of all ages, in many different sports. Even athletes involved in high contact sports, such as football and boxing have noticed shorter recovery times. They are not as sore even after big hits from opponents. The astaxanthin and Neptune Krill Oil (NKO) in the formula has been proven to decrease post-exertion recovery time and decrease soreness after physical activity. They both reduce recovery time by reducing the lactic acid in your muscles, which is an unwanted byproduct of physical exertion. Lactic acid is the “burn” you feel during strenuous activity. It can limit stamina and increase the time it takes to recover. In a 2001 health survey exploring the effects of astaxanthin on exercise, 88% of participants using an astaxanthin supplementation reported improvement in muscle and joint soreness related to having less lactic acid build-up in their muscles. Even aging athletes see an improvement in recovery time. Natural anti-inflammatories, such as astaxanthin and Neptune Krill Oil can reach a much broader range of the body. This means that not only will the anti-inflammatory reach your tennis elbow, it will also reach, for example, your sore wrist, or another part of your body that is experiencing inflammation but not yet showing symptoms. This broad range of anti-inflammatory prevents injury rather than just easing the pain of an existing injury. So instead of taking a drug to reduce pain, or stop doing your favorite activity because of the pain, or having to get surgery to fix an injury caused by inflammation, try preventing it and arming your body with the powerful anti-inflammatory effects in Athlete’s Best Premium Omega-3 Plus. Get your Omega-3, vitamin D, Astaxanthin supplement for only $1 per day, it is so worth it. Train harder, play better, get leaner, and most of all, feel better!